Book of the Week Book of the Week: A Pick by Adrian Octavius Walker Adrian Octavius Walker selects The Notion of Family by LaToya Ruby Frazier as Book of the Week. The Notion of Family. By LaToya Ruby Frazier. 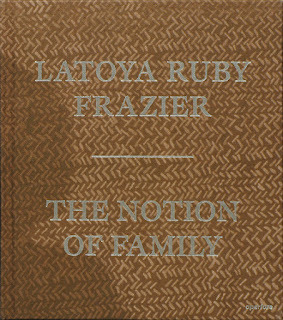 This week's Book of the Week pick comes from Adrian Octavius Walker who has selected The Notion of Family by LaToya Ruby Frazier from Aperture. LaToya Ruby Frazier gives her audience a first hand glance into the world and ways in which she was raised. Through her word choice and use of photography, Frazier allows the reader to emotionally connect with her story of growing up in Braddock, Pennsylvania. The first photo shown of young Frazier exposes a very vulnerable young woman who is experiencing many struggles, yet is very eager to tell the story of the numerous hardships endured by her family, community, and self. Our upbringing molds us into the people we become, and Frazier uncovers her family in a very delicate, yet intriguing style. Being raised mostly by Grandma Ruby and Mother Frazier, she was taught things like black women should never cry and should always hold their own, regardless of what they’re going through. Frazier uses careful wording and imagery to describe the personalities of the women in her life. Although not much is said, by the end of the book the reader will feel as if he or she truly knows Grandma Ruby and Mother Frazier. Overall, Frazier is fascinatingly successful at going into detail without going into detail. I believe she leaves her story somewhat open-ended to allow the reader room to connect in a magnitude of different ways through her photography. While going through the book, the reader is able to interpret the photos as they please, which, in return, allows the audience to make the story what they want. This is a compelling approach that leaves her story open to a variety of different people. She makes her book accessible to anyone who is willing to open up the cover. Frazier does an incredible job relating to those with similar lifestyles and making a beautiful story for the rest of the world to see. Growing up in north city St. Louis, I experienced what it was like to not have access to things like a good school system or good enough jobs or good healthcare. Frazier uses her photographic voice to create an experience for her audience of what it’s like to live in a way unknown to most. The Notion of Family. By LaToya Ruby Frazier. Aperture, 2015. 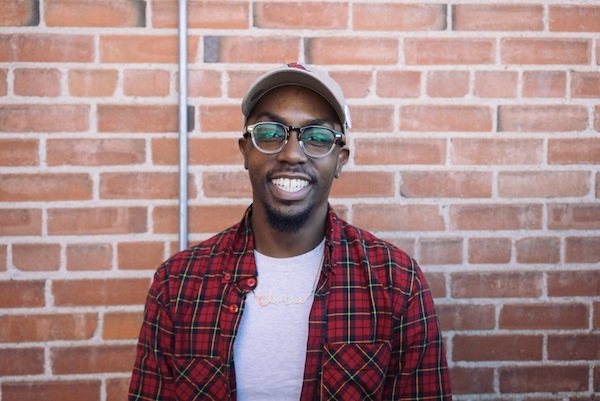 Adrian Octavius Walker: Photographer, born and raised in St. Louis, Mo. My passion is creating new experiences by connecting people, brands, and innovative concepts in dynamic ways. Much of my work has been focused on giving creative individuals the support, guidance, and exposure they need to reach their goals.